Saturday, 15 October 2011, 3.16 pm. Public Health Warning: The onslaught of handshaking politicians. 15 October marked Global Handwashing Day (GHD). Crest Commercial Cleaning would like to remind the public that with the onslaught of politicians making their way around campaigning, it is essential to wash your hands after meeting your local politician to prevent the spread of noxious diseases. “Here in New Zealand we can joke about simple things like the importance of washing your hands with soap before eating, but the reality is in many parts of the world washing your hands with soap saves lives”, says Grant McLauchlan, Managing Director of Crest Commercial Cleaning. “Handwashing with soap is the most effective and inexpensive way to prevent a range of diseases and infections, which take the lives of millions of children in developing countries every year”. 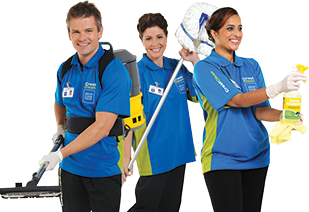 Crest strongly believes in the development of education and training in the area of commercial cleaning that promote healthy and sustainable work environments. What is Global Handwashing Day (GHD)? Foster and support a global culture of handwashing with soap. Shine a spotlight on the state of handwashing in every country. Raise awareness about the benefits of handwashing with soap. Each year, over 200 million people are involved in celebrations in over 100 countries around the world. Global Handwashing is endorsed by a wide array of governments, international institutions, civil society organisations, NGOs, private companies, and individuals. Handwashing with soap is the most effective and inexpensive way to prevent diarrhea and acute respiratory infections, which take the lives of millions of children in developing countries every year. Together, they are responsible for the majority of all child deaths. Yet, despite its lifesaving potential, handwashing with soap is seldom practiced and difficult to promote. Why the focus on Children? Global Handwashing Day focuses on children because not only do they suffer disproportionately from diarrhea and respiratory diseases and deaths, but research shows that children – the segment of society so often the most energetic, enthusiastic, and open to new ideas – can also be powerful agents for changing behaviors like handwashing with soap in their communities.